P. Bala Shanmuga Devi, Ph.D.
Arun Joshi's creations are enhanced by the three-fold faculty of a poet's expansiveness, minuteness of a scientist and the vision of a spiritual sage. Under the British rule Indians were exposed to Western culture, and of course to the potent English language which has become the most suitable backdrop for Joshi's creative frame of mind. As befitting his period of dual culture exposure on most of the affluent, foreign educated elite, Joshi's heroes are all equipped with shrewd discerning intelligence, as sharp as the first intellectual hero depicted in Virgil's Aeneid and like the best intellectual hero of Indian Vedic literature Nachiketa who vied with Yama to learn about life. Through these characters Joshi deals with lofty themes springing from his moralistic inner soul, by plotting around them anecdotes that relate to the socio-cultural background. Simultaneously, he draws in huge Indian cities like Bombay and New Delhi, highly developed Western cities like New York and Boston, and the neglected primitive untrodden forest of Maikala hills in central India as well the Harlem of America. 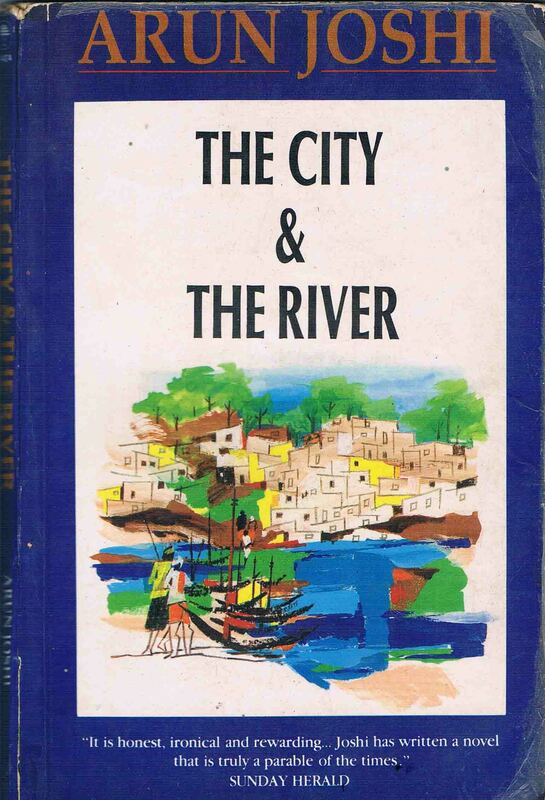 The City and the River was the last novel of Joshi, published nine years after his previous Sahitya Akademi Award winning novel The Last Labyrinth. The City and the River is a parable of times, set in a wider backdrop, using an artistically satisfying mixture of prophecy and fantasy. The strong undertone in favor of environmentalism make this novel sound more as a political novel, couched in metaphors, etc. The narrator recites to his Name-less disciple the events that took place in the city at a particular point of history. At the end of the recital, he commissions his disciple, the nameless child of the boatman to move forward to another historical point. The novel ends where it begins. Relentless cycle of birth and rebirth is highlighted and man's endeavour to overcome this cycle of endless repetition of birth is dealt with. "On the ruins of that city, as always happens, a new city has risen. It is ruled by another Grand Master" (City and River 262). The city in question is governed by benevolent but greedy Grand Masters who are bent on lording over its citizens.